Surf Night goes to St. Cloud!!!!! Get our newest release Surfotica online at Electric Fetus, in store, or come to a gig!!! Go to CD Baby to purchase our CD's Probability Wave, Hang 11 or Action Heroes online., Phil Dirt of Reverb Central gave Hang 11 4 stars. 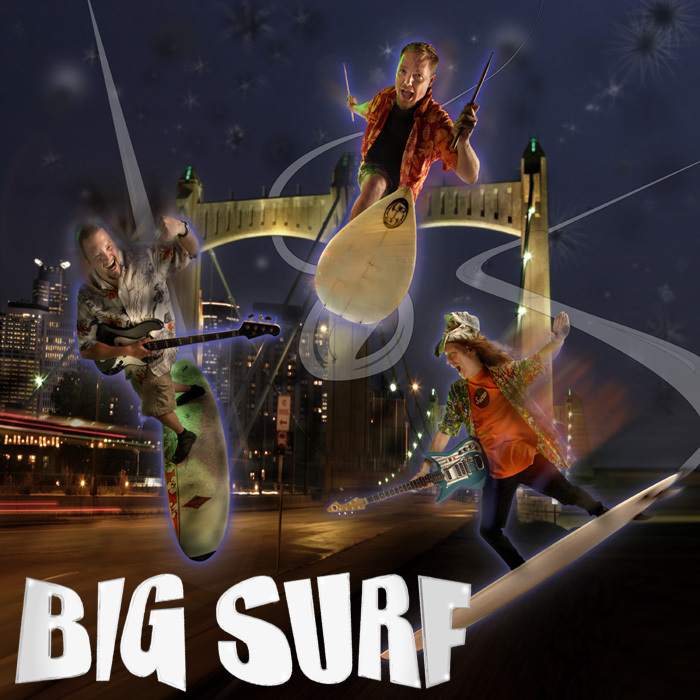 Check out the Sound file page for Samples with tracks from our newest CD Surfotica, where Big Surf goes exotic in an acoustic way!! Become our friend at My Space.